Several snake species exhibit brightly colored ventral surfaces, which are most of the underbellies of the creatures. Their colorings, in some cases, are a form of warning. 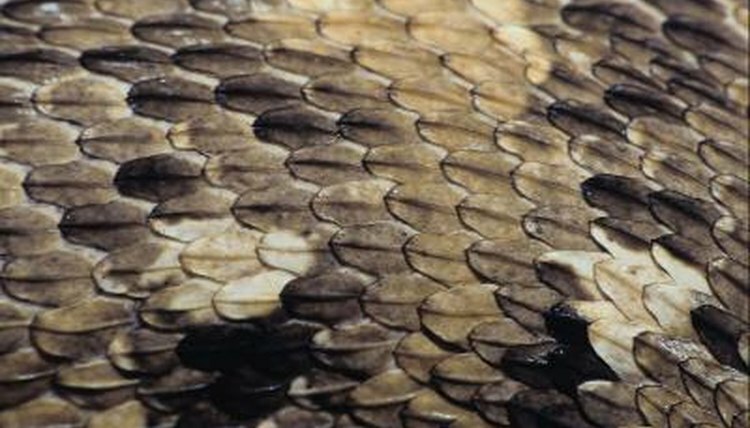 The ventral scales start at the snakes' chin and continue to the vent, where they become subcaudal scales. Usually ventral and subcaudal scales are the same color. Ringneck snakes (Diadophis punctatus) will display their ventral colors when disturbed by a predator. The bright colors serve as a warning of the powerfully noxious musk the species emits. Other species, like corn snakes (Pantherophis guttata guttata) and crayfish snakes (Regina sp.) may produce an occasional specimen with orange coloration on its belly. Ringneck snakes, found throughout Georgia, display considerable variation in color, and some specimens display bright orange ventral color. In general, the ventral color matches the color of the neck ring. Two subspecies are found in Georgia, the northern ringneck (D.p.edwardsi) and the southern ringneck (D.p.punctatus), which often has a broken neck ring and a ventral surface covered in dark dots. Ringneck snakes consume invertebrates, small snakes and salamanders that they subdue with a weak venom. Plain-belly water snakes (Nerodia erythrogaster ssp.) are found throughout the eastern United States; the red belly water snake (N.e.erythrogaster) is the subspecies found in Georgia. Somewhat poorly named, many red-bellied water snakes have an orange to yellow ventral surface. Red-bellied water snakes will eat fish, though their principle food is amphibians that they find while cruising temporary wetlands. Like all water snakes (Nerodia), red belly snakes practice ovoviviparity -- somewhat akin to live birth -- rather than depositing shelled eggs. Red-belly snakes (Storeria occipitomaculata) are small snakes -- closely related to the more commonly encountered brown snakes (Storeria dekayi) -- with unmarked, red to orange ventral surfaces. These snakes can be found in suburban situations but are more commonly associated with wetlands. Red-belly snakes consume earthworms, small snakes and, mostly, slugs. Red-belly snakes are generally shorter than 10 inches in length, and they do not often bite when picked up. Corn snakes are highly variable in color; while most wild specimens will have a white and black belly, occasional specimens or populations may have orange ventral surfaces. Pygmy rattlesnakes are sometimes reddish colored, and in these snakes, the ventral color may look orange. Two closely related aquatic species, the mud snakes (Farancia abacura) and rainbow snakes (Farancia erytrogramma), exhibit red colors along their ventral and lateral surfaces, though these could arguably be described as orange. Worm snakes (Carphophis amoenus) live under logs and rocks, searching for worms; these snakes can have bright pink bellies that may look orange in the dappled light of their forest homes. Two crayfish snakes, the striped (Regina alleni) and the glossy (R. rigida), can have ventral surfaces that are light to dark yellow, but occasional specimens display orange.